If you've suffered from acne, either as an adult or as a teenager, you may actually be able to consider yourself lucky. If you've never before considered acne to be a blessing in disguise, here is some news that could change your perspective. While there are a number of steps you can take to reduce and control acne, some of your susceptibility to it is likely genetically determined. The good news is that those genes may be linked to other genetic factors that can help you live longer — eventually with smoother, fuller, less-wrinkled skin than that of your peers. The reason has to do with telomeres, the protective caps on the ends of your DNA strands that help keep those strands from unraveling. The longer your telomeres, the more slowly you're aging. And research has found that people who suffer from acne tend to have much longer telomeres than their clear-skinned counterparts. If you do have acne, there is more good news for you: as far as researchers can tell, treating acne doesn’t make your telomeres shorter. There just seems to be a connection between the genetic pathways that lead to both conditions. 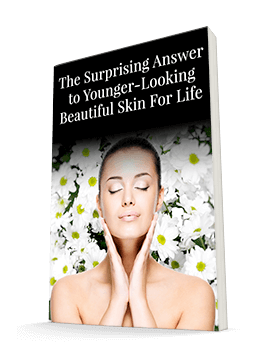 So you can treat your acne without worrying that doing so will speed up the aging process. If you've never suffered from acne, don't assume that you're doomed to a life of early wrinkles and health problems either. There's a lot you can do to help keep your telomeres healthy, even if you weren't genetically blessed with extra-long ones to start off with. Regardless of which camp you fall into, many healthy habits will both protect your telomeres and help you enjoy clearer skin. In particular, I recommend that you start by eating a low-glycemic diet. Eating a high-sugar diet, especially one that includes sugary sodas, has been repeatedly linked to acne and shorter telomeres. Conversely, a low-glycemic diet is associated with decreased rates of acne and longer telomeres. In fact, people who follow a low glycemic diet are much less likely to suffer with acne. It is interesting to note that people with higher levels of Vitamin D may actually age more slowly than people with lower levels of Vitamin D. Probiotics, found in fermented foods as well as probiotic supplements, will also diminish acne breakouts, as well as help to secure more healthy telomeres. And, of course, exercise, especially for postmenopausal women, helps to protect telomere length. In fact, women who do not exercise have shown a 15-fold increase in shorter telomeres. To control acne, cut sugar and processed foods out of your diet. This also can be an excellent anti-aging strategy. Eat plenty of vegetables, particularly yellow, orange, and dark leafy greens. Those that are high in vitamin A, rich with carotenoids, like carrots and squash, can be especially beneficial. Try to eat fish twice or more weekly to ensure your omega-3 and omega-6 fatty acids stay in a good ratio. This is critical to reducing systemic inflammation, which will help protect your telomeres. Plus, improving your fatty acid ratio will decrease the redness and swelling of actual acne lesions, moisturize your skin from the inside, help to balance your hormonal production, make your skin less oily, and improve the health and size of your pores.